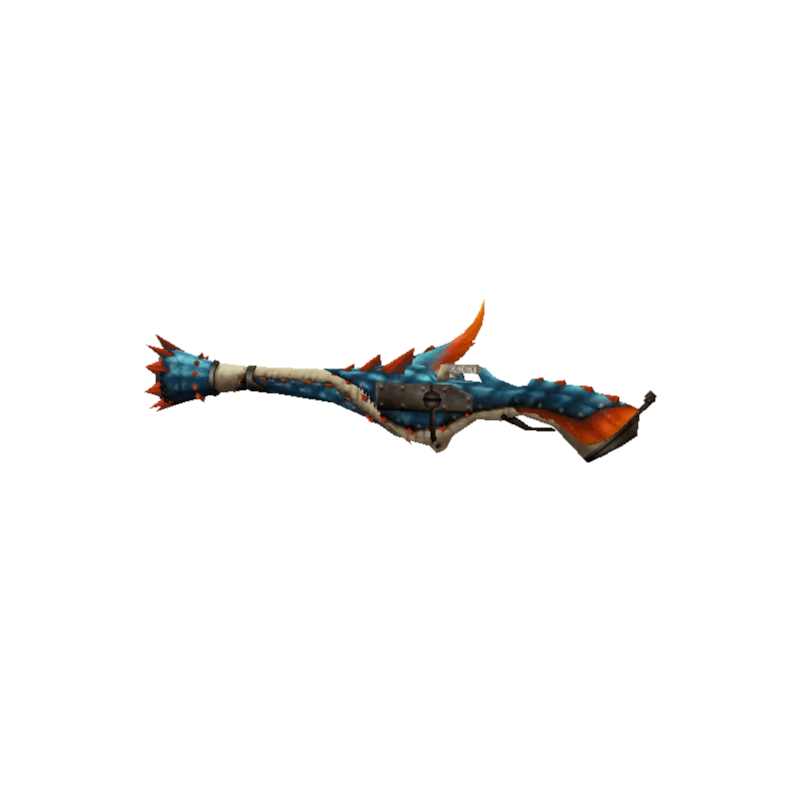 A weapon made of Lagiacrus parts. The electrified barrel prevents bullets from losing velocity. / The Lagia Blitz's final upgrade. Concentrated electrical energy gives it great destructive force.